If there is a master classman in the performance art aspect of professional wrestling, it is truly WWE Champion Daniel Bryan. Since capturing the title from AJ Styles and transitioning into "The New" Daniel Bryan, he has truly been in the zone, creating a new persona that even the greatest loyalist of "The Yes Movement" wants to punch in the face. Bryan has done a tremendous job of morphing into a role that will make himself and WWE lots of money as AJ Styles pursues him leading into the WWE TLC event later this month. Bryan's work is the type of material that will dissected and studied for years to come, evolving right before everyone's eyes. The reigning WWE Intercontinental Champion looked to finally be gaining a measure of revenge against Dean Ambrose this past Monday on Raw before being overwhelmed and physically assaulted. 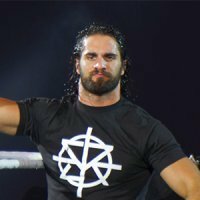 Rollins' feud with Ambrose has headlined WWE events domestic and international in recent weeks and given "The Architect" a strong focus as one of the top heroes for WWE's Raw brand. His work inside the ring and on the microphone continues to excel and as we inch closer to WrestleMania season, he's certainly in play for a main event this April. 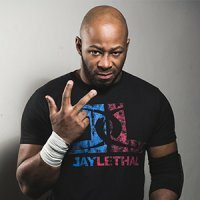 When the bell rings next week for the main event of Ring of Honor's Final Battle on FITE, it will not only signify the start of Cody challenging Jay Lethal for the ROH World Championship, but a new chapter in the life of the IWGP United States Champion. With no contractual obligations going forward, that also means Cody will no zero repercussions for anything he does that evening. He could vanquish Lethal and walk out with the ROH title, never to return. He could use that title as the foundation to declare the creation of the rumored All Elite Wrestling promotion. He could do whatever he wants, because once that bell rings, it's Cody's world to shape and reform any way he wishes. Much like Thanos with an Infinity Gauntlet, Cody can do anything he desires and there are no Avengers to stop him. That's the type of power few in professional wrestling have ever wielded. With her WWE TLC Ladder Match set against Asuka and Charlotte Flair, the ravenous Smackdown Women's Champion continues to excel as one of the hottest professional wrestling in the world. This week, a scheduled signing in Arizona sold out in 90 seconds. Her Twitter game continues to vanquish all in her path and the entire world of professional wrestling is waiting to see what she does next. Lynch has risen to the level most professional wrestler dream about and the funny thing is, she hasn't even hit her prime yet. 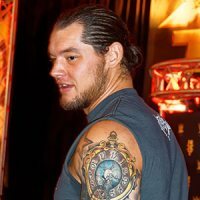 While the role of the villainous power broker forcing his thumb down on everyone in his sight is a trope that has been done to death in professional wrestling, that doesn't mean that Baron Corbin doesn't play the role well nor that he hasn't grown as a performer since being tasked with it. Corbin has been utilized on quite a bit of Monday Night Raw real estate in recent weeks and there's a reason WWE is making that investment. They know that by utilizing Corbin in this way, they are forging a hell of a villain and great heroes need great villains to overcome. Whether its tormenting undercard talents like Heath Slater or top stars like Braun Strowman, Corbin is becoming the villain everyone must contend with. Job well done, Baron. 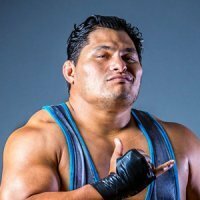 Since migrating to Ring of Honor, Jeff Cobb has been unstoppable, chasing Punishment Martinez out of the company and capturing the ROH World Television Championship. Cobb has been demanding competition and at the Final Battle event next week on FITE, he'll get in the gritty "Hangman" Adam Page. One of the toughest members of the Elite will be a fearsome competitor, but Cobb has been a literal monster in the ring. If he can take Page out commission the way he has so many others of late, he's guaranteed a seat in the upper deck of the FITE rankings. We'll see what goes down in New York City next week. 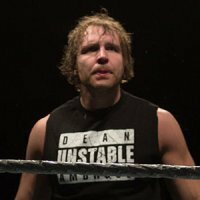 With his return to Monday Night Raw this week and a continued series of main events on WWE live events, Dean Ambrose's feud with Seth Rollins continues to be the talk of fans across the globe. Ambrose proclaimed this week he was the only one left in WWE with a moral compass, despite standing in the ring surrounded by minions and wearing a gas mask to keep the stench of fans in Houston, Texas away from him. While WWE has not allowed the former WWE Champion to go full blown evil yet), Ambrose has done a good job of churning up the audience in his new role and has proven to be a formidable foe already for Rollins. As WrestleMania season kicks off, he's in the mix. While the "Monster" seems to be on a collision course with Eli Drake in Impact Wrestling, he's been storming through Ohio Valley Wrestling like Godzilla on a summer vacation to Tokyo. This has led to former WWE star Shane "Hurricane" Helms stepping up to challenge the Impact Wrestling Hall of Famer at OVW's Christmas Chaos on FITE. Like many monsters, Abyss lurks in the shadows, waiting to pounce and shouldn't be counted out. The worst terror is the one you don't know is coming. 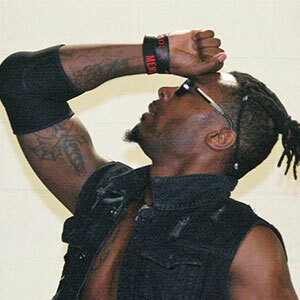 Shane Strickland has been one of the most ferocious performer in the world of professional wrestling over the last several years, but is the "Swerve" on him? 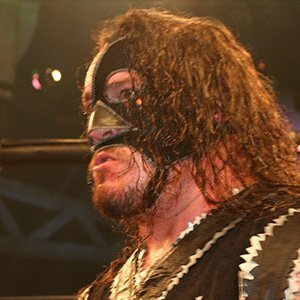 While there has been great anticipation the former MLW Champion is about to take the leap into the great beyond and join the WWE NXT system, contractual loopholes from his time as Killshot in Lucha Underground may have hampered those plans. That leaves a lot of speculation on his future. This week, Strickland takes to the stratosphere to face Pentagon Jr. when FITE broadcasts the latest PCW Ultra event from California. 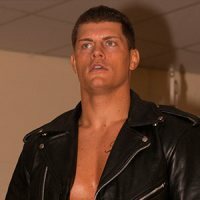 Meanwhile, Strickland has become increasingly bitter and resentful towards fans in Major League Wrestling as his journey in that promotion continues to unfold for viewers weekly on FITE. Shane Strickland has always been one to keep an eye on, but that may never be truer as it is right now, as he hits the crossroads of his career.